The Australian kestrel or nankeen kestrel (Falco cenchroides) is one of the smallest falcons, and unlike many, does not rely on speed to catch its prey. Instead, it simply perches in an exposed position, but it also has a distinctive technique of hovering over crop and grasslands. 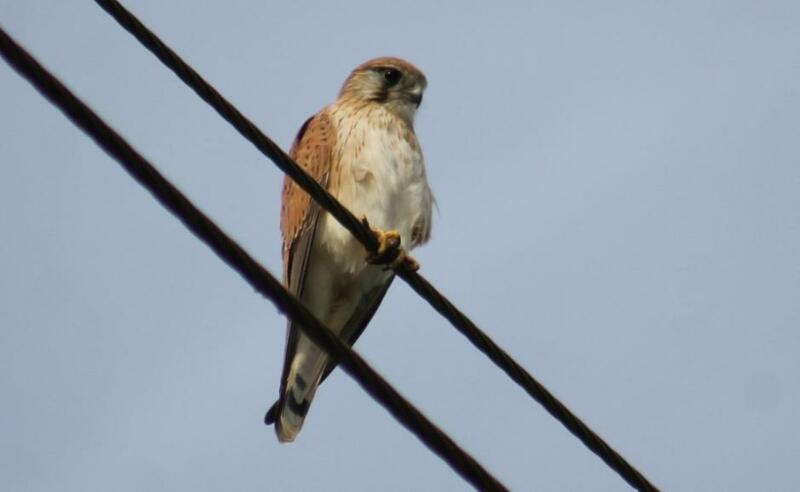 This bird is thought to be a very close relative of the common kestrel, and probably also the spotted kestrel. It seems to have evolved of ancestral common kestrels dispersing to the Australian region in the Middle Pleistocene—less than 1 million years ago—and adapting to local conditions. Nicholas Aylward Vigors (1785 – 26 October 1840) was an Irish zoologist and politician. Thomas Horsfield M. D. (May 12, 1773 – July 24, 1859) was an American physician and naturalist who worked extensively in Indonesia, describing numerous species of plants and animals from the region. He was later a curator of the East India Company Museum in London. 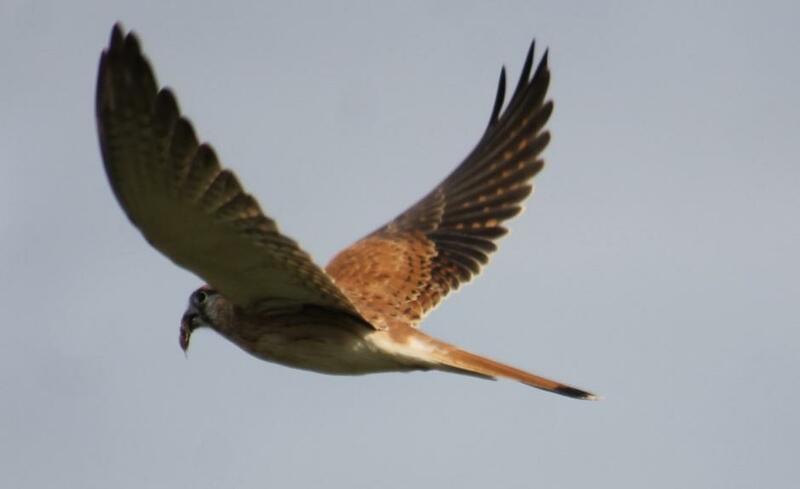 A very common and easily seen raptor, the nankeen kestrel is found in Australia, New Guinea, and nearby islands, and is an irregular visitor to New Zealand. It occupies any type of land that is not too densely vegetated, but in particular temperate grasslands and open woodlands. Diet is varied, with a large number of insects, but also small birds and reptiles, and in particular, small rodents, mostly mice. 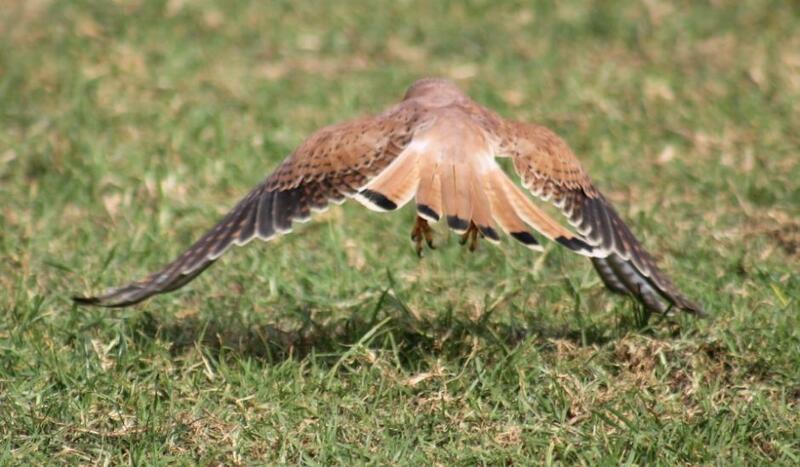 Nankeen kestrels are adaptable and hunt in a number of different ways: of these, simply perching in an exposed position (such as on a dead tree or a telephone pole) and watching for prey is the most common, but it is their habit of hovering motionless over crop and grasslands that is most distinctive.